Spring Street Soccer is a program for our beginning players or players who have participated in our "Season street soccer" program. Registration is under "registration" and then Academy registration on our website. It is a similar program to our season street soccer with many of the same coaches. The emphasis of this program will be on FUN, and the coaches will aim to leave their players feeling excited about soccer and keen to continue playing. Sign up on March 1 as the program fills up and SPACE IS LIMITED! The Soccer season for 4,5,6 year olds runs from September to March. The program takes place on Saturdays at Ambleside Park Fred Jopson Field and is an introductory program that teaches kids about the skills and rules of how to play the game. Under 7 play on Saturday and will have one indoor practice per week. Practice times vary according to the coach's choice. U5 and U6 play on Saturday but do not have practices. Street Soccer will be in session every Saturday, from Sept 14th - Feb 29th , unless otherwise indicated above, or in the case of extreme weather conditions/field closure. Sessions are not cancelled due to rain, unless the weather becomes a safety hazard (thunder/lightening, etc). In the event that a session must be cancelled last minute, registrants will be notified as early as possible via email. If you're ever unsure, please check your email before heading to the field. To show why "Soccer is a Player's Game" and "To Let the Game be the Teacher"
Soccer is the undisputed #1 game in the world and the primary way kids around the world have developed their ball skills is through "street soccer". Most pro players did not see a coach or join a club until the age of 12. Traditionally, kids played in open spaces, on the street, or anywhere they could put together a field. The kids directed this free play with little input from adults, and carried out the creation and management of the game. They played everyday, sometimes for hours, no subs, no lines, no boring drills, lectures or laps, and, no parents or coaches pacing up and down the sidelines yelling instructions. The kids observed other players, became self-reliant, self-directed and expressed their imagination and creativity. Although "discovery learning" is more time-consuming than traditional drills and coaching, in the end this process actually speeds up development. All over the world, this game is disappearing. The risks of modern life and the rise of organised youth programs have all but eliminated the unstructured, child-centred games of the past. The consequences of these changes are being felt deeply in soccer countries around the world. Even in North America, many amateur sport organisations are realizing that too much structure in youth activity is not conducive to the development of players. Unfortunately, there is little free time in modern life and unstructured outside play has been replaced with the obligatory overly coached and overly structured soccer time. 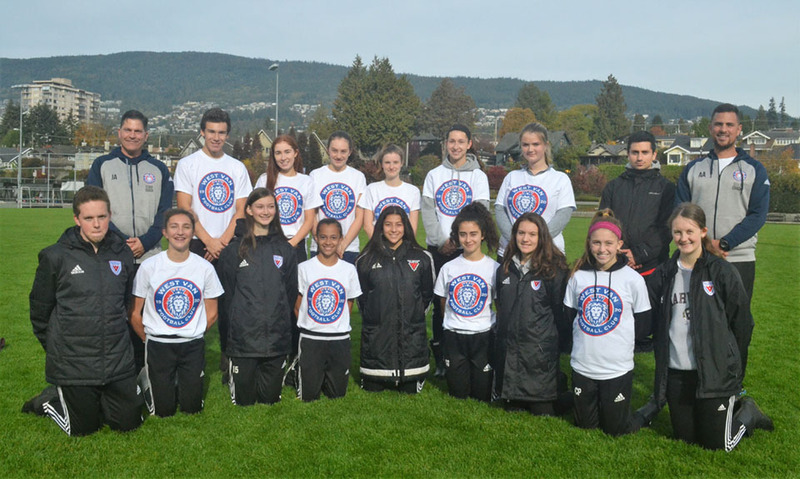 The Street Soccer program, as adopted by the West Vancouver Football Club and other Lower Mainland organisations, is designed to give the game back to the kids. We are asking parents to support this new approach to youth soccer and encourage you to take the soccer ball, throw it outside and send your young ones after it!